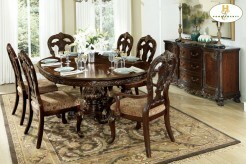 Width : 20" - 29", 61"-70"
Go back in time with the fun and distinctive styling of the Cleveland Oval 5pc Red Dining Set. 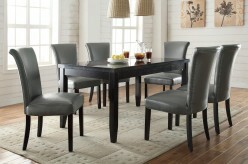 The table features a oval white table top, rippled chrome rim and a chrome double pedestal base. 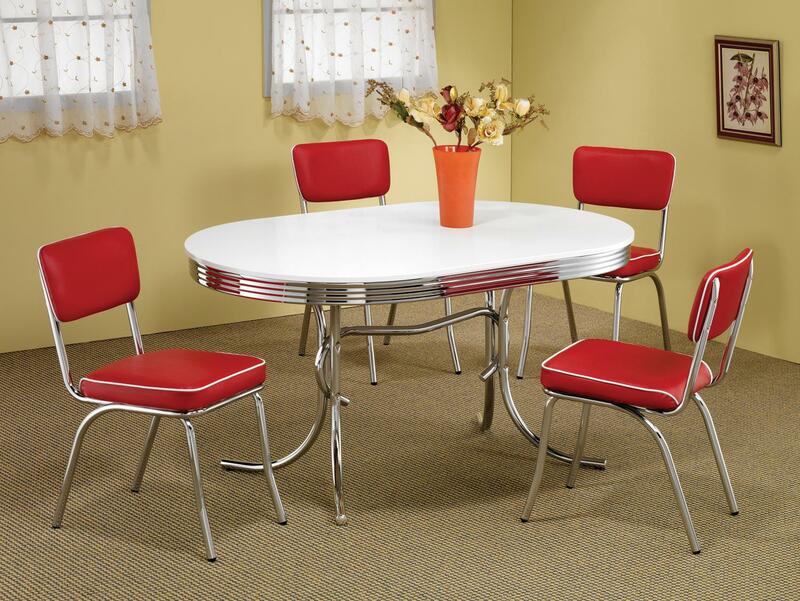 The matching side chairs feature padded upholstered seats and backs wrapped in red upholstery fabric with chrome plated accents. The Cleveland Red 5pc Oval Dining Set will create a retro 1950’s diner look in your casual dining area or game room. Constructed with chrome plated metal. 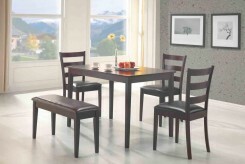 Cleveland Oval 5pc Red Dining Set includes 1 dining table & 4 side chairs. 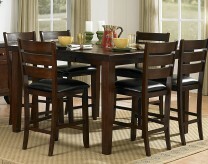 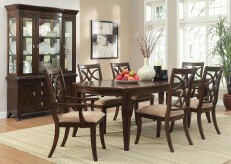 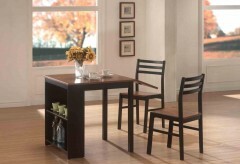 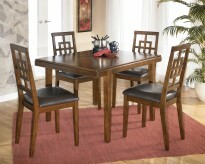 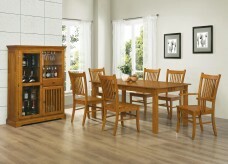 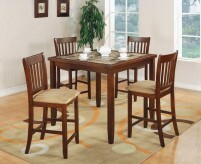 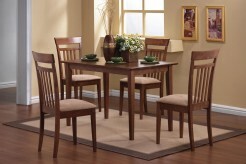 Furniture Nation is proud to offer the Cleveland Oval 5pc Red Dining Set online. 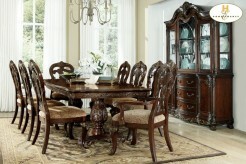 We serve customers across the DFW region including Irving, North Richland Hills, Desoto and many more. 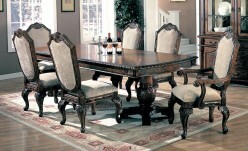 Cleveland Oval Dining Table : L60" x D36" x H29.5"